Bill Minor, of Columbia, Tennessee, was an artist, gifted fabricator, and automotive enthusiast. With his great fabrication abilities, he was able to make or repair almost anything. 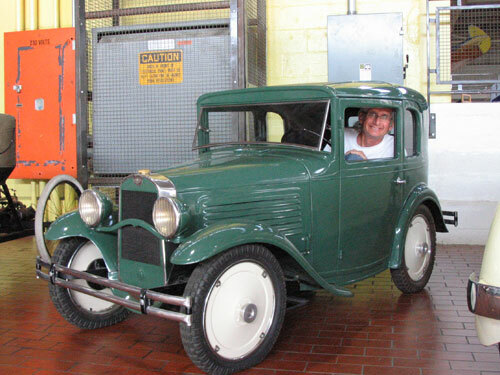 In the 1970s, he was interested in making a micro version of an American Austin. To determine the size, Bill and his wife sat on a bench (to replicate the seat) and had a friend measure the height and width with the idea to make it small enough for the two of them to be able to drive the vehicle. Bill was 5'9" tall and weighed 150 pounds; his wife even more petite. It was decided that 3/4 scale would be a perfect size. 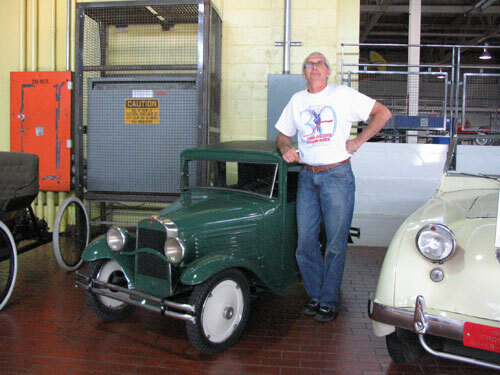 The car was completed in 1988, and Bill enjoyed taking it to many shows. Bill Minor passed away in the spring of 2005 and Lane Motor Museum was fortunate to acquire this one-of-a-kind vehicle that stands as a testimony to his talents. Manufacturer: American Austin Car Co., Inc.